Passionate for Passionflower and Passion fruit | Gardens Alive! This past summer while touring Chanticleer—a Pennsylvania 'Pleasure Garden'—my husband and I became fascinated with the beautiful Passion Flower Vine and ordered two plants from an Internet site. They have arrived, but I'm not sure if they should be planted outside now or in the Spring. I would hate for them to die from a harsh winter. A. Well, it's easy to understand how folks can fall in love with those wildly colorful flowers. And while there are over 400 different species in the genus Passiflora—including a famous North American native that can be grown outdoors as far North as upstate New York—I personally can't imagine planting one outside in PA now. That native, Passiflora incarnata, known commonly as the Maypop, is an herbaceous perennial whose above ground growth dies back with frost, but whose underground roots can survive winter outdoors with proper care. If the newly arrived plants are the native variety, our old friend and frequent YBYG guest, Dr. Lee Reich thinks they can safely be planted now. Frankly, the thought makes ME shudder; I hope the plants in question are tropical varieties meant to be grown indoors in the winter and moved out in the summer. The species name will tell the tale. A noted small fruit enthusiast, Lee tells me that he has a real fondness for the native variety, and includes the Maypop in his books "Uncommon Fruits for Every Garden" (Timber Press; 2004) and "Landscaping with Fruit" (Storey; 2009). When I called Lee for advice on this article, I mentioned that back when I was Editor of Organic Gardening magazine, we got a letter from a woman in Chicago who bragged about a 20-foot long passionflower vine covering her chain link fence just blocks from the White Sox ballpark. I asked him: Could the plants really get that big in one season in such a chilly place? "Absolutely," he replied. "They're incredibly vigorous—and they do all that growing with a really late start. Passionflower vine doesn't re-appear above ground until late Spring in cold climates, but once it does pop up, it grows like mad. "She may have even gotten some fruit," Lee continued, explaining that while some passionflowers are self-fertile, the Maypop is NOT, and so you'd either need a couple of different varieties growing nearby to get fruit or—his preference—to hand-pollinate the plants. "Each passionflower is only open for one day", he explains, "so you have to go out in the morning and move some of the pollen back and forth between any flowers that are currently open." 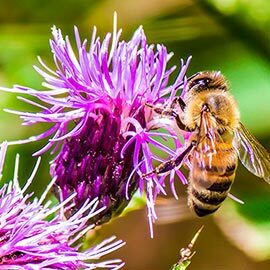 The reward, he explains, is about 50% fruiting success compared to single digit numbers for plants that are insect pollinated—which is performed mostly by carpenter bees, he notes. Lee assures me that hand pollination has yielded a nice flush of fruits from the Maypop vines in his garden in New York State, where winter is much chillier than either of our passionately-hopeful PA gardeners. 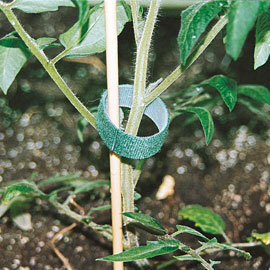 At the end of the season, allow the top part of the plants to die back naturally; don't prune them. (You can remove the dead top growth in winter, but don't disturb the plant close to the soil line.) Mulch the base of the plant well with straw or shredded leaves for insulation, and the vines should regrow nicely from their roots. Remember to be patient; passionflower is going to always be one of the last plants to reappear above ground each season. Despite this seeming slowness, the root systems can be downright invasive, traveling surprising distances underground and sending up lots of suckers, which should be snapped off as soon as they appear. South of Virginia, the plant can be considered pestiferous, and gardeners in warm regions may want to consider growing it in a pot, which Lee highly recommends. In fact, he tells me he has a potted Maypop in his greenhouse right now. "I grew it in a pot to begin with this year", he explains. "I enjoyed half a dozen fruits at the end of the season, and then brought it inside covered with more fruits, which I'm hoping will ripen up soon. "You can grow any passionflower in a pot", he adds; "even the tropical varieties whose fruits (grown commercially in Hawaii and Australia) are said to have the finest flavor. And they're not that hard to move outside for the summer; you just need to repot them and prune them back—both roots and top parts—every Spring."